Jury selection begins Thursday in the criminal case against Uresti, a two-decade veteran of the Texas Legislature charged with 11 felonies. The case is rooted in the San Antonio lawmaker’s ties to FourWinds Logistics, a now-bankrupt frac sand company alleged to have been a Ponzi scheme. 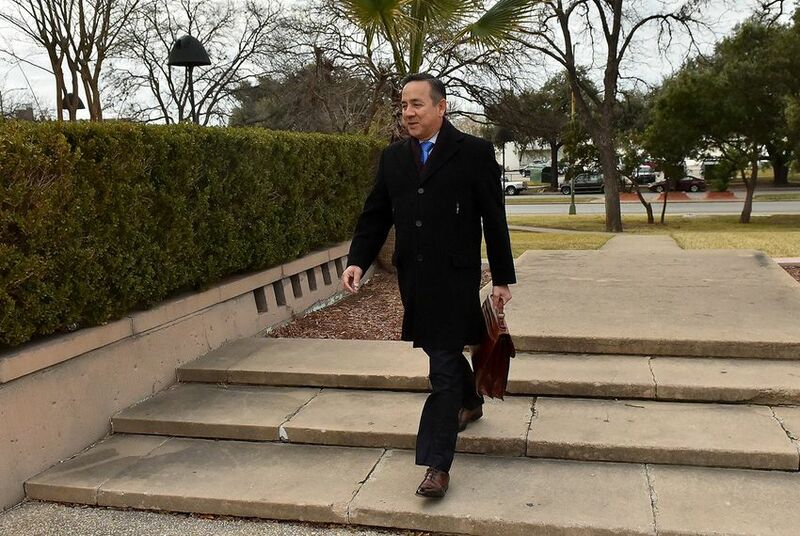 Uresti — a personal injury lawyer who took notes on a yellow legal pad alongside his three defense attorneys at a pretrial hearing Wednesday — performed legal services for FourWinds and owned 1 percent of the company. He also earned commission for attracting investors to the organization, according to court documents. Questions about Uresti’s alleged misconduct at FourWinds were first raised publicly in August 2016 in a San Antonio Express-News investigation. Investors accused the company — which purported to sell sand for use in the process of hydraulic fracking — of misrepresenting its financial health and misspending investor money on frivolous personal expenses. Just months later, in February 2017, the FBI raided Uresti's office. Then, in May, he was indicted on felony charges punishable by a combined total of more than 100 years in prison. Throughout the proceedings, Uresti has maintained his innocence — and his lawyers said this week they look forward to proving it. But the case against Uresti took a surprising turn last week when Stanley Bates — a co-defendant and the former CEO of FourWinds — pleaded guilty to multiple felony charges, including money laundering and securities fraud. It’s not clear what impact that plea could have on Uresti; Bates had previously asked to be tried separately, with his defense attorney arguing that Bates' co-defendants would shift the blame onto him. Uresti’s attorneys would not comment on their legal strategy for the upcoming trial but said they look forward to proving their client's innocence. Uresti’s witness list includes more than three dozen names, many of them prominent players in San Antonio politics, headed up by state Sen. José Menéndez, D-San Antonio. An even longer list of witnesses who may be called to the stand includes Republican Lt. Gov. Dan Patrick, Republican Comptroller Glenn Hegar and U.S. Rep. Henry Cuellar, D-Laredo. Uresti has faced criticism in recent months over allegations of sexual harassment at the state Legislature. The prominent Texas women’s group Annie’s List called on the senator last month to resign. He has denied any misbehavior. U.S. District Judge David Ezra ruled Wednesday that no allegations of sexual misconduct against Uresti will be permitted in court, though the prosecution is free to discuss Uresti’s alleged intimacy with Cantu.